32 bit versus 64 bit ! which is faster and secured? 32 bit v/s 64 bit,which is faster and secured? Microsoft�launched�its first 64 -bit operating system on �windows vista and windows 7 �along with all latest security patches.But it is interesting to inform you that 64-bit processor exist early 1970’s in supercomputers.In 2003 ,they were introduced in personal computers. Many �Programmers now works on 64-bit operating systems because �now the future is 64-bit.but,since now,35% of applications(B,C grade) are not fully compatible with 64 bits.But whether adobe reader,Microsoft Office 2003,2007,2010 ,dreamweaver,browsers(chrome,firefox),Nokia PC-suite are fully supported by 64-bits operating systems because they all are A-grade. 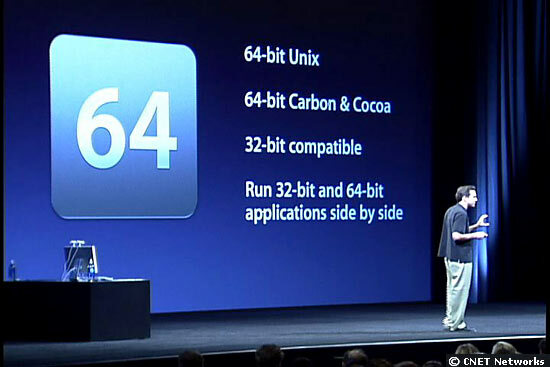 The meaning of 64 -bit is that it has 64 bit register which allows once at an �instant to processes 64 bit data with multiply ram size for �performance.A common misconception is that 64-bit architectures are no better than 32-bit architectures unless the computer has more than 4 GB of�main memory. This is not entirely true. and all works fine with better performance than 32 bit. 1.Microsoft has enhanced security�in Windows 64-bit that is not available in 32-bit.Latest security updates and Patches boost your security and performance. 2.Hardware-based Data Execution Prevention (DEP): Modern CPUs are now supporting hardware-based DEP but only 64-bit of Windows supports hardware-based DEP. 3.Kernel Patch Protection (PatchGuard):�One type of malware is called Rootkit. If you have 64-bit edition of Windows, you can enjoy protection against kernel-based rootkits. You can also avoid BSOD if you have 64-bit edition of Windows because PatchGuard does not allow any drivers to modify the kernel in Windows. 4.Driver Signing: 64-bit of Windows will only allow installation of device drivers that is digitally signed by its developer. 1.All softwares/applications are not fully supported by 64-bit operating system. 2.Allow restict for making illegal experiments on windows files.Therefore ,you now not allow to experiment on windows graphics,drivers to make it compatible. 3.Many Internet Security not compatible in real sense:I think you are not well-aware of the fact that even in market many antivirus make promises that they are 64 – bit compatible.But in real sense,only 40% of the total antivirus in the world are compatible(100%) rest 60-90%.Its create Problems in your performance,speed and security.so,choose correct one.